From the Seattle Cascades Web site: Seattle Cascades have made several percussion and brass staff appointments for the 2007 season. Check out the announcements on www.seattlecascades.org. 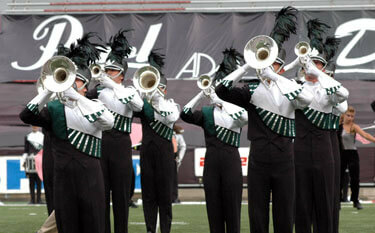 Members of the Seattle Cascades horn line perform in Madison, Wis., at the 2006 DCI World Championships.